The first review of resumes will take place on Monday, May 20, 2019. This is an exceptional opportunity for an innovative, strategic leader in the field of toxicology and environmental health science to guide cutting-edge work that regularly garners statewide and national attention in the area of toxic chemicals and their impact on the environment and public health. Above all else, this is an opportunity to make a lasting impact on the lives of California’s residents and communities. The Deputy Director of Scientific Programs directs the operations of OEHHA’s scientific programs and develops scientific program policy to implement ongoing and new areas of investigation and analysis. The Deputy Director serves as a member of the OEHHA’S executive staff and as the primary advisor to the Director with respect to policy operations of the OEHHA scientific programs. The Division staff includes over one hundred scientists who are committed and passionate about their work and the goals of the organization. A broad scientific background combined with superior leadership and strategic thinking are critical in this role as well as excellent written and verbal communication skills. The ideal candidate will have a PhD in Toxicology, Epidemiology, Public Health, Environmental Sciences or closely related field; will be well versed in the current science of environmental health and risk assessment; will be viewed as a leader in the field; and will have experience managing the operations of a large scientific-group involved in risk assessment and public health evaluations. 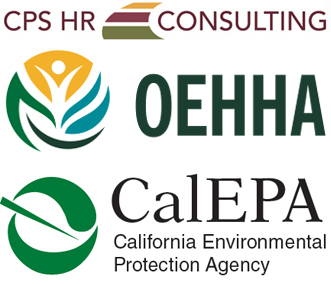 The Office of Environmental Health Hazard Assessment is an equal opportunity employer.